Winter in India is the season of celebrations and festivals. This is also the best time to go for vacation to some of the best winter destinations within India to enjoy the beauty of this country at its best. Let us take a look at the top 10 winter holiday destinations in India. 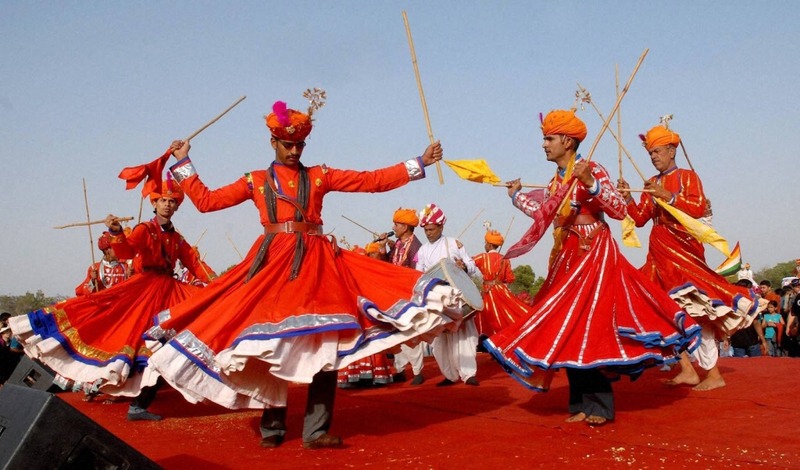 Rajasthan: Rajasthan is one of the royal states of India which is known for its architectural beauty, wildlife and desert. During summer the humidity level remains so that that visiting Rajasthan during this period seems difficult. In the winter months you can enjoy the beauty of this place completely. 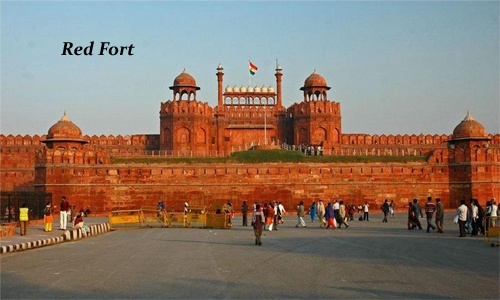 This state is known to be the house of some important historical architecture in India. This is the place of palaces. Jaipur, the pink city, Udaipur, Jaisalmer, Bikaner, Puskar, Jodhpur, etc are the prime cities which are must to visit to know Rajasthan closely. These cities are famous for historical palaces and you will also like the royal culture of this state. Kerala: Kerala is also famous as “The God’s Own Country” and once you are here you will understand that the saying is not a myth at all and it’s a true blissful destination of India. This state has emerged as one of the most loved winter destinations among the travelers. The famous locations in this state include Munnar, Periyar, Alleppey which are known for backwaters, Kovalam, etc. Your trip will become more exotic if you are able to book a boathouse on the backwater and stay there for one or two nights. Apart from that the spice garden, Zoological garden, etc are also there to explore. Auli: Lots of places are there in Uttarakhand which turns gorgeous during winter and among these Auli is definitely the one. Adventure lovers gather here to experience skiing. Apart from skiing, one can also enjoy trekking, cable car ride, snowboarding, etc to enjoy some best moments of life. Apart from skiing and trekking, this place is also popular for its exotic natural beauty. The well-known places to stay here are GMVN, Auli resort, etc. Apart from those, there are lots of private hotels which offer great service to tourists. Shimla: Shimla is there in our list of top-ranked winter holiday destinations from a long time and people from all parts of the world visit this tourist spot to enjoy the natural beauty of this place. This city is also considered as a great destination for a honeymoon couple. The snow-covered peak and seasonal flowers will no doubt make the trip more romantic. Top spots to visit in Shimla are Mall road, Jakhu Temple, The Ridge, etc. Besides enjoying nature, you can also take the chance to enjoy adventure sports such as skiing and skating, etc. Goa: During the winter vacation Goa becomes the most exotic place to visit. If you are planning to celebrate the Christmas party and New year party in an innovative way, then visiting Goa with friends and families and enjoying those days here will be a great decision. The Churches here are decorated superbly and the prayers organized here are heart touching too. The nightlife of Goa is worth experiencing in the months of December and especially on the New Year ever. Andaman: Andaman is also one of the most lovely tourist spots in India. During winter you can enjoy the tranquil atmosphere of this place. This place is also famous for its historical importance. The Cellular Jail is the prime attraction of this city. Lots of freedom fighters were given imprisonment in this jail. It is difficult to visit all islands of Andaman but few you can definitely go with guide. Some of the Islands are restricted for visit because of tribal inhabitants. Among the allowed islands, travelers mainly prefer Ross Island, Havelock and Neil Island to visit. Hampi: Karnataka is no doubt one of the most gorgeous travel destinations in India during winter. The city Hampi has an attractive scenic beauty and the neighboring places are also nice to visit. This place is an open museum as here you will be able to experience the various historical evidences openly. The ruined temples and monuments are the examples of the royal history of India. The popular places to visit in Hampi are Virupaksha Temple, Matanga hill, Hemakuta hill Temple, and many more are there on the list. Dharamshala: A mix of Indian and Tibetan culture can be enjoyed here. The place is also known as the Land of Lamas. The city has its own attraction and the snow-covered peak in winter is no doubt turns it to one of the best place to visit during the winter. Tourists from all parts of the world gather here to enjoy the natural beauty and various adventure sports too. The places to visit here are Tibetan Market, Kareri Lake, Tibetan Museum, and many more are there to explore. Darjeeling: The list of top winter destinations in India can never get completed without the name of Darjeeling. This small town in West Bengal is famous for its attractive natural beauty. The popular peak Kanchenjunga looks just awesome from this town. Enjoying the Toy Train and tea gardens are really an awesome experience. Other places of attractions are the peace Pagoda, Tiger Hill, Ghum Monastery, Batasia Loop, etc. Lakshadweep: This popular island is made with 39 small islands and this place has emerged as one of the top-ranked travel destinations among the tourists. The gorgeous marine life is really enjoyable and especially during the winter some of these islands emerge as the best places to visit. The winters are on and its time now to decide the destination which attracts you the most to visit in your winter vacation. We recommend you to get the bookings done for hotels and trips done from a trusted tour and travel company only to avoid any disturbance in your vacation days. Selecting any of the above 10 destinations for your winter vacation will surely make the trip memorable for you. This entry was posted in Rajasthan Tourism and tagged holiday destination of India, holiday destinations. Bookmark the permalink.